The deals you need to shop now, in stores and at jcrewfactory.com. 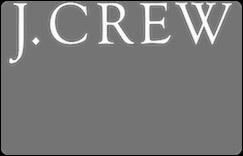 FREE STANDARD SHIPPING WITH J.CREW REWARDS††. Sign up for OUR EMAILS & get 15% off your next order. Plus, get 20% off & free shipping on your birthday. Open a J.Crew Card & get 15% off your next purchase (plus lots of other perks). In store: Get A 15% DISCOUNT every time you shop.